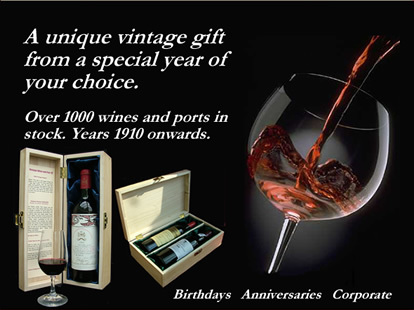 A bottle of port from 1964 makes the perfect 55 year old wine gift, whether for a birthday or anniversary. Our wine buyer recommends the single harvest colheita ports such as the 1964 Messias Colheita Port , as these are drinking very well. They also come with the added advantage that they can be savoured for months after opening. 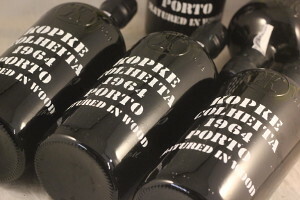 The 1964 port vintage was a challenging year due to fluctuating weather conditions; a small amount of single quinta port was made but it is very rare. However, some truly excellent single harvest Colheitas were produced. The weather at the start of the year was unsettled, with rain and thunderstorms at the end of July followed by a hot, dry August which developed the vines. The hot weather continued throughout the season and into the harvest, when it began to fluctuate. The grapes harvested were more raisin than the winemakers would like and this is reflected in the small amounts of port produced. An outstanding 5-star vintage in Piedmont and Tuscany that produced wines of immense grandeur. The depth of the bouquet and the fullness of flavour came together with rounded tannins to produce immense wines of character and dimension. Growers could leave the grapes on the vine to become ripe, and harvest went on until mid-November to give a large crop. 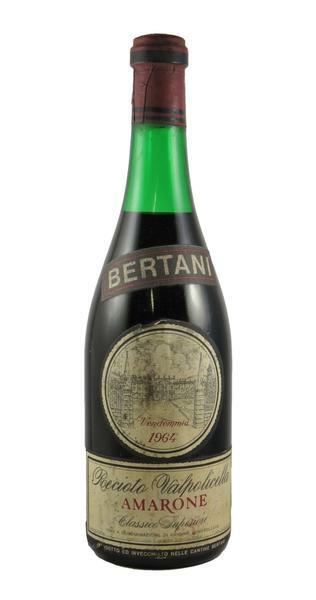 1964 favoured the right bank of Bordeaux, which produced some opulent, concentrated wines with high alcohol, an opaque colour, super length and unbridled power. The harvest and weather favoured those producers on the right bank who harvested early (Graves, St Emilion and Pomerol). All of these wines reached the peak of their maturity two decades ago, but show little signs of decline today. A very flavourful wine now in full maturity, the 1964 Ducru-Beaucaillou defines such wine adjectives as elegant, graceful, and well-bred. Medium dark ruby with an amber edge, the bouquet is spicy, cedary, and subtly herbaceous. Reviews "Sweet cigar box, soil, creme de cassis, savory plum, mineral and earthiness. Full of secondary nuances, subtle and gentle yet with good liveliness and finesse. Inferno is one of five viticultural sub-zones specifically identified as producing Valtellina wines of particularly high quality: the other four are Grumello, Sassella, Maroggia and Valgella. Spanna has often been cited by wine experts as one of Italy’s greatest ageing wines. Spanna’s longevity can be attributed, at least in part, to the addition of smaller amounts of less tannic, more acidic grape varieties.